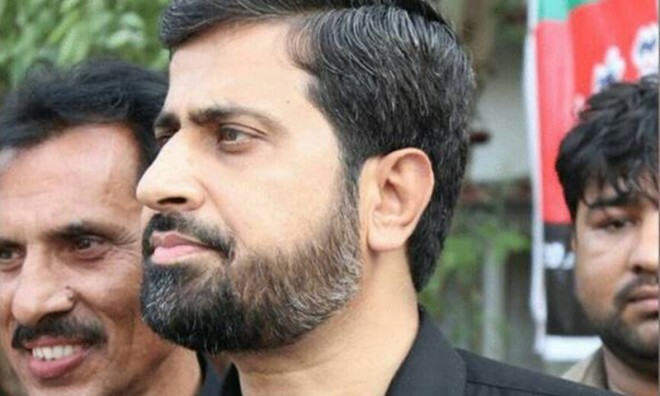 Islamabad, March 5: Pakistan Punjab's Information Minister Fayyaz ul Hassan Chohan of the ruling PTI has come under severe criticism from members of his party for making derogatory remarks about Hindus. According to a Samaa TV report on Tuesday, Chohan referred to the Hindu community as "cow urine-drinking people" at a recent press conference. "We are Muslims and we have a flag, the flag of Maula Ali's bravery, the flag of Hazrat Umar's valor. You (Hindus) don't have that flag, it isn’t in your hands," he had said. "Don't operate under the delusion that you're seven times better than us. What we have, you can’t have, you idol worshippers," he said in a video that went viral on social media. "I was referring to Narendra Modi, RAW and Indian media," he said on Samaa TV's programme Naya Din on Tuesday. "The remarks weren't meant for any person in Pakistan. My message was for Indians. “I didn't demean any religion. The things I said are a part of Hindutva. I said things that are a part of their religion,” he added. Khan termed Chohan's remarks as "inappropriate" and said: "We will not tolerate remarks against any minority community." PTI's leader Naeemul Haque said: "The derogatory and insulting remarks against the Hindu community by Fayyaz Chohan… The PTI government will not tolerate this nonsense from a senior member of the government or from anyone. Action will be taken after consulting the Chief Minister."